Drafting is more than just making drawings. Excellent drafting focuses on results: building a quality product efficiently through efective communication to the people making it. Because of their direct experience on manufacturing shop floors, US Technics engineers understand how factories function based on the people in them. Quality production documentation is critical to the process. 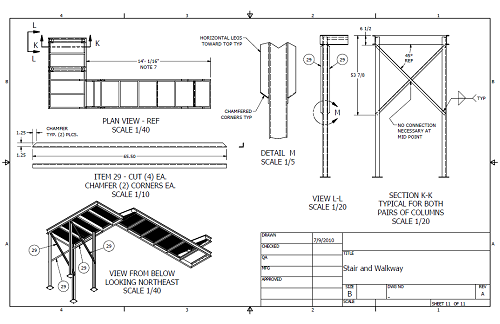 US Technics provides drafting services using the most popular 3D as well as 2D CAD systems so the system most appropriate to the task will be utilized. 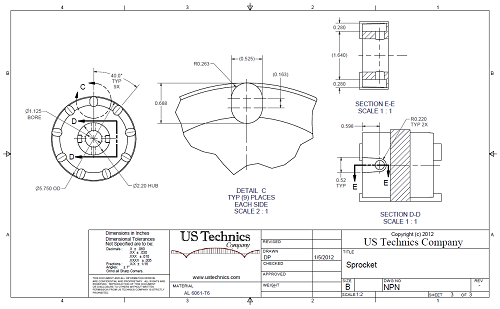 US Technics provides standards-based engineering drawings, bills of material and related documentation to assure your product can be manufactured in any qualified workshop. From simple to complex drawings, US Technics can provide engineering documents that get the job done right the first time and every time.